The Martha Stewart Living 3 in. 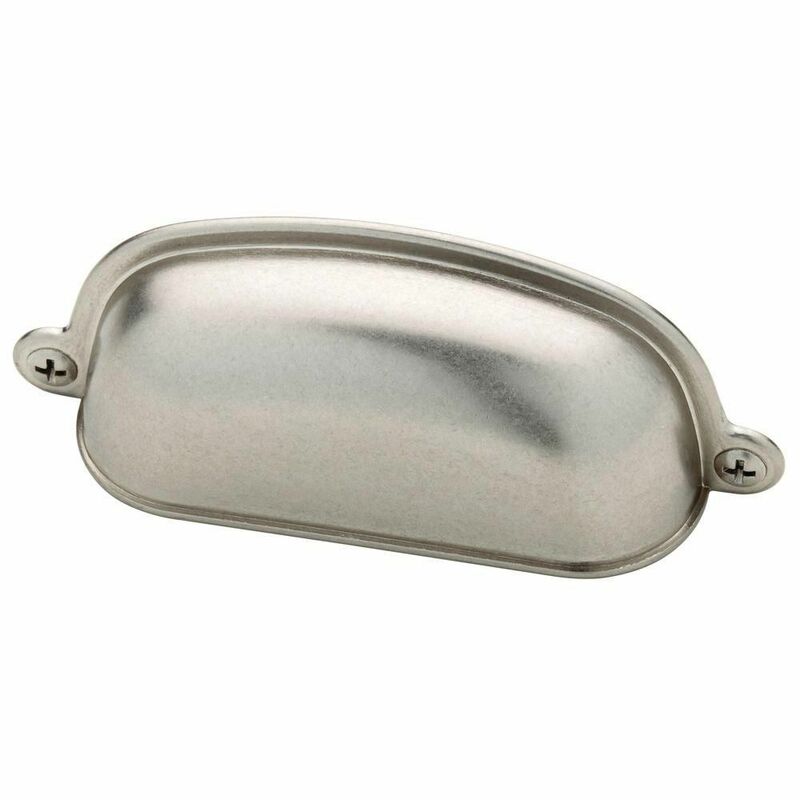 Bedford Nickel Canopy Cup Pull features a simple, timeless design that adds handsome detail to your kitchen storage space. Change out your old cabinet pulls and give any room a brand new feel. A simple change can make a huge impact on the look of any room. From Liberty, the Dual Mount Cup Pull exemplifies style that fits with a wide variety of home decors. The classic design combined with a trend-right finish creates a look that is both casual and refined. It gives the perfect finishing touch to your Kitchen, Bathroom or DIY project. 3 in. Canopy Cup Pull The Martha Stewart Living 3 in. Bedford Nickel Canopy Cup Pull features a simple, timeless design that adds handsome detail to your kitchen storage space. Change out your old cabinet pulls and give any room a brand new feel. A simple change can make a huge impact on the look of any room. 3 in. Canopy Cup Pull is rated 4.7 out of 5 by 23. Rated 5 out of 5 by Maryanne from Looks Beautiful yet a great price!... Looks Beautiful yet a great price! Rated 5 out of 5 by MLR from Love the pulls, though I will have to return one... Love the pulls, though I will have to return one for brown discoloration. Rated 5 out of 5 by 1983hdjunkie from Perfect for my new kitchen cabinets. Perfect for my new kitchen cabinets. Rated 5 out of 5 by HomeDepotCustomer from LOVE THEM!!!... LOVE THEM!!! Rated 5 out of 5 by Cricket from Look great! Look great!